My fiance Matt and I want to get married in west michigan (St. Joseph area) next summer. We absolutely love your photography, and I was hoping you could tell me a little more about what is included in your standard wedding package. Does it include travel costs? Editing? Any prints? Are all of the photos included on the DVD or just a select number? We also really liked the idea of having a photo booth at the reception and we would like to know a little more about how it works, what is included and how much it costs. We do not have a solid date determined yet, but do you have any availability next summer or early fall? I was looking at your website and found some gorgeous wedding photos! I am interested in finding out more about what is included in your standard wedding package. My wedding date is July 26, 2014 in Battle Creek, MI with the reception at FireKeepers Casino Hotel. Are you available that day even? I am looking for a photographer for September 12, 2015. It will be in Ann Arbor. Can you send me your pricing and what it includes. Looking over your photography, I really am loving it! Your angles, editing, lighting, and poses are very fun and fresh!! My fiance and I are getting married on June 13, 2015 at willow harbor vineyard in Three Oaks, MI. Just wondering a bit more about what’s included in your packages and if you are available. Looking forward to hearing from you! Thanks! 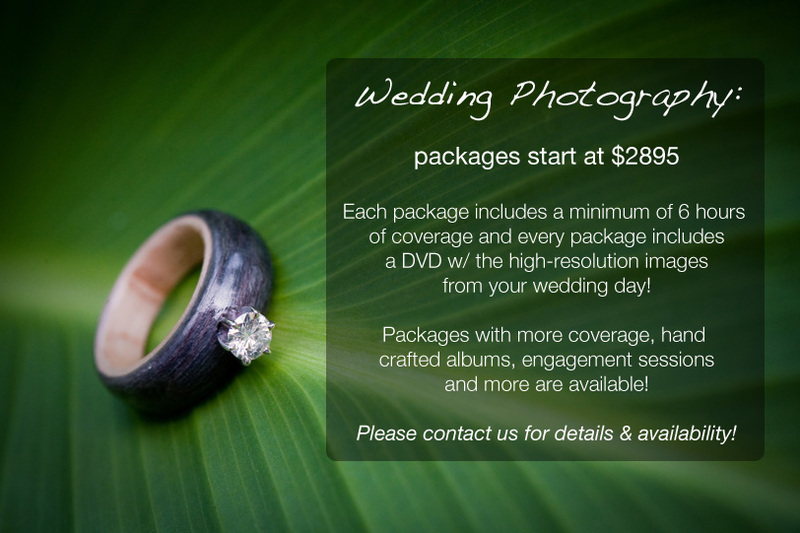 My fiance Mike and I are interested in learning more about your wedding packages. Our wedding will be May 29, 2014 at the Blue Dress Barn. We really like your photos and would love to see if you are available on May 29th and what your additional packages entail.